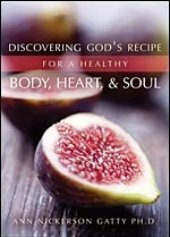 My book, Discovering God's Recipe for a Healthy Body, Heart & Soul has just been published. It is the result of a six week women's adult bible study that I conducted. I wrote this book to help women find ways to take care of themselves as they take care of others. Through this book, you discover the importance of goal setting,time management, and biblical nutrition as you find your own unique life balance. The book is divided into six weekly self-study sessions for you to enjoy individually or with a group of friends. I share recipes and healthy living tips from the book on my Facebook Fan page. Join the discussion at www.facebook.com/stressmanagement4women. I want to introduce you to a few of the ladies who have contributed to my website, so you can visit their blogs and learn more about their insights and why I think that they offer valuable contributions. Karen Ruby is the host at a meaningful existence. She is devoted to helping others put meaning into their life through practical personal development strategies. Christine Livingston is the host at a Different Kind of Work. She helps professional navigate career change. Jen Smith is over at Reach Our Dreams. She is helping people enjoy a simpler, happier life. These ladies have been an inspiration for the website and you can read some of the pages they have authored at Stress-Management-4-Women. Visit their blogs to see what they are currently discussing. It's great to share ideas from Canada, Great Britain and the U.S. Drop me a comment either on my Fan Page, www.facebook.com/stressmanagement4women, or on the web, Stress-Management-4-Women. Try One of My Popular Life Transitions Coaching Packages! Switch Your Hobby into a Career!